A hybrid car is a car that has the capacity to utilize two or more energy sources. These cars usually have conventional gasoline engine as well as electric motor(s). 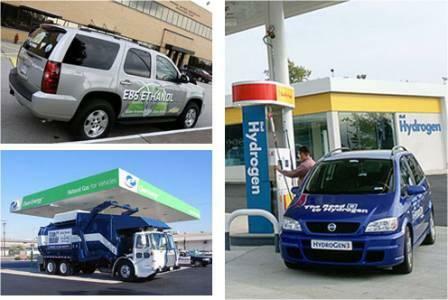 The other power sources that can be used in a hybrid car include hydrogen, propane, CNG as well as solar energy. In a hybrid car, usually one source can act as a main source when the other can serve as a backup. Sometimes the car has the ability to use both the power sources or switch between them based on different situations. For example if high power is required such as hill climbing, both gasoline engine and electric motors can be used at the same time. But when minimal power demand is required such as coasting, the car can shut down the gasoline engine and use only the electric motor. Usually the braking of hybrid car is capable of capturing the energy released and using it for charging batteries inside the cars. That means hybrid cars do not solely depend on charging by the electric outlet. Hybrid car is a cleaner technology – it reduces the fossil fuel consumption and thus contributes in reducing environmental pollution. Hybrid cars are usually gas efficient and many of them have double gas efficiency than the conventional gas only models. Sometimes government offers tax incentives and other types of benefits for the hybrid car owner such as free parking, free entry to car pool lanes, discounted fees on toll gates etc. The main disadvantage of hybrid car is that it is too expensive to buy. Because of the built in battery hybrid cars are quiet heavy and become risky when involved in accident due to high voltage risk. Hybrid cars usually have a slower acceleration rate compare to the conventional gasoline powered cars. The maintenance and servicing of the hybrid car is quite expensive than the conventional ones. All most all the major car manufacturers are now producing or planning to produce hybrid cars and there are about 30 models available to choose from. Replacing the hybrid car batteries is expensive but they can be expected to last for several years. Hybrid car has superior gas mileage than the conventional one. Many of them get better gas mileage in the city than on the highway because they run on battery power more in the city. As a hybrid car uses its gasoline engine less it has longer engine life and less tear on internal engine parts. Hybrid cars are expensive in price and have expensive parts but the fact is that many of them provide warranties for free replacements of those expensive parts for longer terms. Hybrid cars tend to have lower depreciation rate than the conventional gasoline cars.